This work comes from the website of StoriesOfFaith.net and is copyrighted. The work is licensed under the Creative Commons Attribution-ShareAlike 3.0 Unported License and GNU Free Documentation License version 1.3. In short: you are free to distribute and use the work as long as you attribute the work you use to Wayne T. Parman and www.StoriesOfFaith.net. 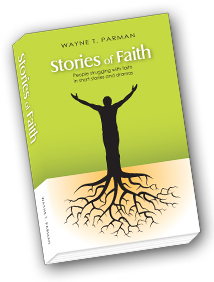 You must also include a statement indicating that in no way does Wayne T. Parman or StoriesOfFaith.net endorse you, your organization or your use of this work.